You are here: Home / Blog / Blogstream / What Happens If You Can’t Work Until Age 65? What Happens If You Can’t Work Until Age 65? Half of boomers say they plan to work into their 70s, according to a study by First Command Financial Services. But in reality, many may have to stop working in their 50s and early 60s due to a disability. What do you do if this happens to you? About three in ten workers will become too disabled to work before they are ready to retire, according to the Social Security Administration. Among the most common conditions are bad backs, arthritis and cancer — many of which become more prevalent with age, says Brett Albren, the president and managing partner of The Advocator Group, which specializes in Social Security Disability Insurance. For workers under 65 who find themselves with a condition that prevents them from working, the Social Security Administration may provide financial aid through its Social Security Disability Insurance program. SmartMoney.com asked Albren to highlight some of the things you’ll need to know to get Social Security Disability Insurance. How can I qualify for benefits? 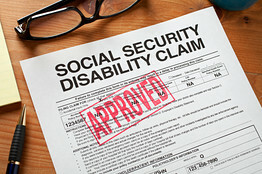 There are several factors you must meet to qualify for Social Security Disability Insurance. First, your disability has to have lasted or be expected to last for at least a year or to result in death. Second, you can’t now do the job that you once did because of your medical condition, and your condition must prevent you from adjusting to doing another job. Third, you have to have worked for a certain amount of years to qualify. For anyone over the age of 31, the rule requires one to have worked at least five out of the last 10 years. For a complete discussion on how to qualify for benefits, click here. How do I apply for Social Security Disability Insurance? The Social Security Administration has set up a website that lets you apply for benefits online. The SSA says that it “can take a long time to process an application for disability benefits (three to five months),” so be prepared to wait to get a check. Albren notes that you might want to hire a lawyer to help you apply for these benefits, as the process can be arduous and confusing. The lawyer will typically get about 25% of the past-due benefits owed to you with a cap of about $6,000, he says. How much can I expect to get? The amount of Social Security Disability Insurance you will receive is based on your previous employment earnings. The average benefit is about $1,100 to $1,200 per month, Albren says. To figure out how much you might get, use the calculator here.